Counties throughout the US are hearing the same refrain- CUT costs, Create a balanced budget. Cumberland County PA Commissioners have gone one step further. They have gone online asking residents to take a survey seeking input on cutting costs and improving county government. In looking at mandated pet licensing program, we have noted the substantial benefits to pet owners, and the pets as well as the safety of the general public. Looking from the county’s perspective at the efficiency of pet licensing programs, there is much room for improvement. 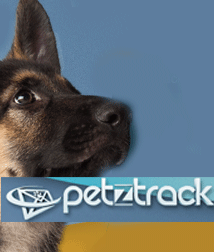 The pet licensing process involves: notifying owners to license their pet, processing pet tag purchases, collecting and verifying vaccination data, remitting vaccination data to appropriate locality, inputting this data into a system, and easy, immediate access for administrators and Animal Control. For many municipalities this process is done piecemeal; it is time consuming, not efficient, there are inputting errors, no real-time reporting of revenues and licensing volume, and no easy access of data. When calculating the municipalities’ expense for delivering this service; consider the tasks involved in the pet licensing process, and consider the cost to the pet owner for a tag ranges from $5- $25. Results realized by municipalities for providing this service, is a projected loss on each issued dog tag. The USPS announced proposed price changes for 2014. Included in the proposal is an increase in the price of a First-Class Mail single-piece letter from 46 cents to 49 cents. The proposed changes, which would go into effect January 26, 2014, are intended to generate $2 billion in incremental annual revenue for the Postal Service. According to the United States Postal Service, the postal rate increases are expected to generate $2 billion in new revenue to improve financial situation. The U. S. Postal Service said in February that it would cut back to five-day-a-week deliveries in August, Â for everything except packages, as a way to hold down losses. But a statement Â from the Board of Governors notes that Congress has passed a spending bill that will continue the long-time prohibition against reducing delivery days. As a result, the Board says it believes that Congress “has left it with no choice but to delay implementation” of the five-day-a-week plan. â€œThe Board of Governors of the United States Postal Service met April 9th and discussed the Continuing Resolution recently passed by Congress to fund government operations. By including restrictive language in the Continuing Resolution, Congress has prohibited implementation of a new national delivery schedule for mail and packages, which would consist of package delivery Monday through Saturday and mail delivery Monday through Friday, and which would have taken effect the week of August 5, 2013.
â€œAlthough disappointed with this Congressional action, the Board will follow the law and has directed the Postal Service to delay implementation of its new delivery schedule until legislation is passed that provides the Postal Service with the authority to implement a financially appropriate and responsible delivery schedule. The Board believes that Congress has left it with no choice but to delay this implementation at this time. The Board also wants to ensure that customers of the Postal Service are not unduly burdened by ongoing uncertainties and are able to adjust their business plans accordingly. â€œThe Board continues to support the transition to a new national delivery schedule. Such a transition will generate approximately $2 billion in annual cost savings and is a necessary part of a larger five-year business plan to restore the Postal Service to long-term financial stability. According to numerous polls, this new delivery schedule is widely supported by the American public. Our new delivery schedule is also supported by the Administration and some members of Congress. â€œTo restore the Postal Service to long-term financial stability, the Postal Service requires the flexibility to reduce costs and generate new revenues to close an ever widening budgetary gap. It is not possible for the Postal Service to meet significant cost reduction goals without changing its delivery schedule â€“ any rational analysis of our current financial condition and business options leads to this conclusion. Delaying responsible changes to the Postal Service business model only increases the potential that the Postal Service may become a burden to the American taxpayer, which is avoidable. â€œGiven these extreme circumstances and the worsening financial condition of the Postal Service, the Board has directed management to seek a reopening of negotiations with the postal unions and consultations with management associations to lower total workforce costs, and to take administrative actions necessary to reduce costs. The Board has also asked management to evaluate further options to increase revenue, including an exigent rate increase to raise revenues across current Postal Service product categories and products not currently covering their costs. Swift efficient transport of invoices for OCR processing is key to maintaining your cash flow. Linking invoices with purchase orders, avoiding duplicate payments and getting a quick return are primary to a well run system. The crack is widening and Forever stamps will now cost 45 cents… UP a penny. Â The latest rate increases start on January 22, including increases for First Class Mail. Postal officials expect the 1-cent increase to generate an additional $888 million in revenue, the Washington Post reports. Postcard postage UP 3 cents to 32 cents.